My First Trip to Costa Rica – Post 1 | KeaNeato! 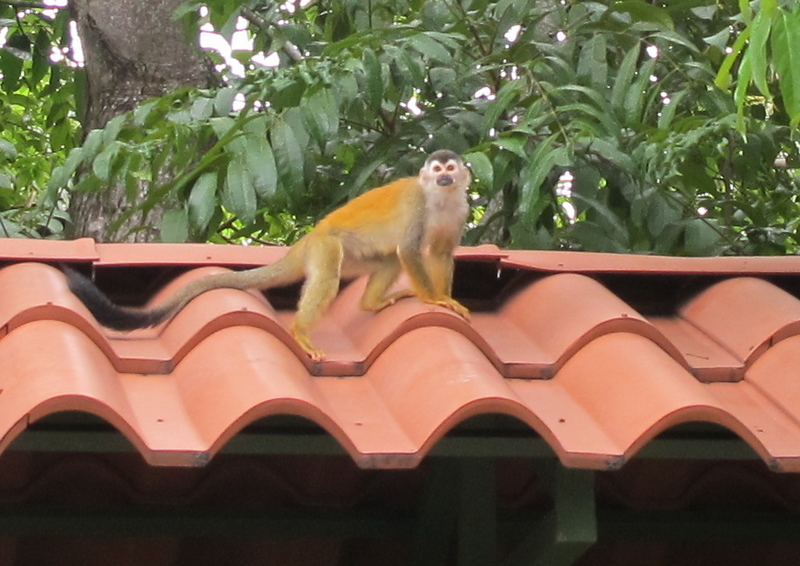 No, those are not extra large tiles; that is a tiny Capuchin/white-faced monkey in Manuel Antonio, Costa Rica. Photo by Kea Giles. Last week, my husband and I went to Costa Rica for six days — our first visit to the country. I have a longer blog post planned, but I wanted to share a couple of things right away: 1. The photo with this blog; and 2. A link to my YouTube channel, where you’ll find several videos from the trip. Portions of the mangrove tour near Quepos, Costa Rica, include explanation in Spanish and English by our guide from Iguana Tours. More soon. This entry was posted in beautiful, educational, fascinating, Life, Nature, Photography and tagged capuchin, Costa Rica, Manuel Antonio National Park, monkey, photography, video, white-faced monkey, YouTube. Bookmark the permalink. Pingback: Can A Short Vacation Change Your Life – My Dragonfly Wars Post | KeaNeato!